A supple horse is the key to any good ride. No one wants to battle a horse that is impossible to turn. A horse who is continually ripping the reins down can quickly deflate a good ride. And a horse who is moving ever forward when you are clearly asking, “Go that way!” can just make you plain mad, right? A supple horse is a key ingredient to a fun ride. But it also will take time, practice and diligence to get the soft mouthed horse you desire. 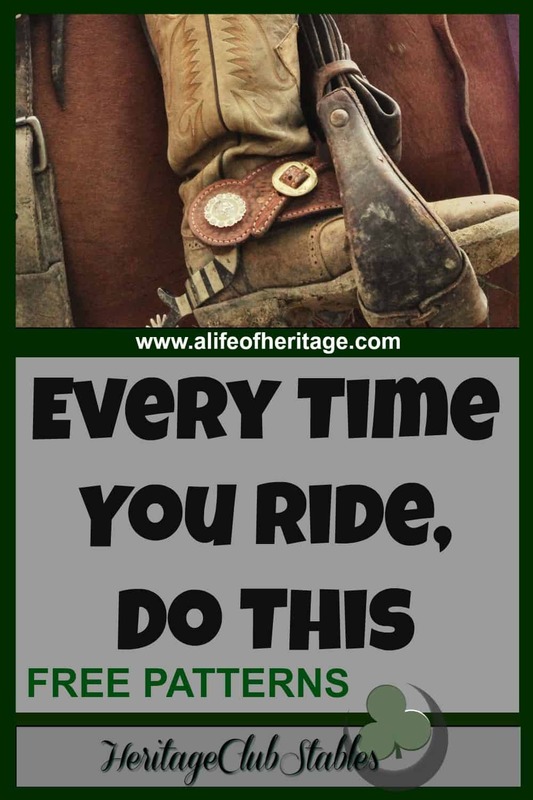 It is a habit to form every time you get on your horse. 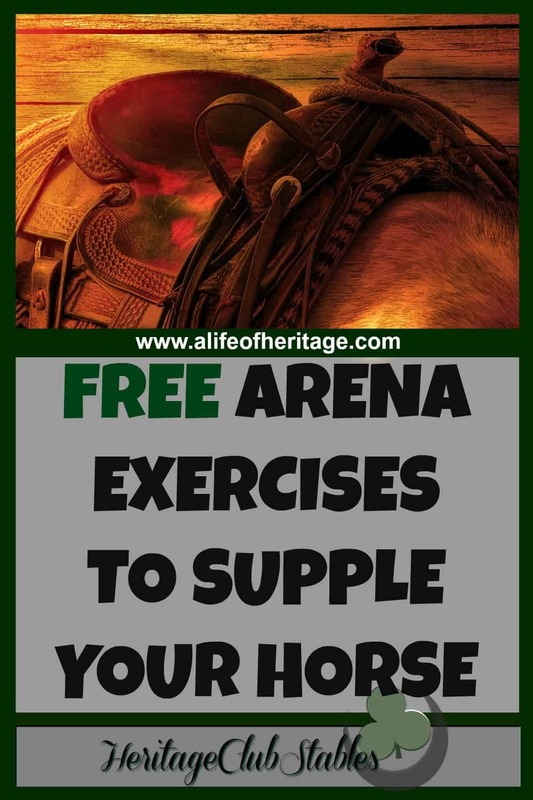 Ask your horse to give to the bit on both sides, without raising his head or sticking out his nose, at a walk and then a trot and finally at the lope. 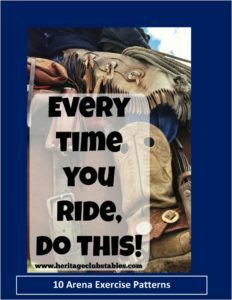 There are great patterns you can utilize whenever you ride to soften, supple and warm up your horse. Download these free patterns. Have them laminated and bring them to the barn with you so you can have them handy at any moment to refresh your memory. There are many other free resources available to you. 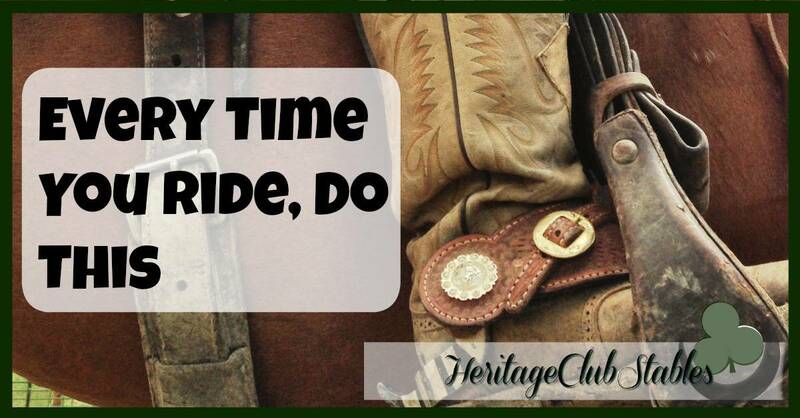 Sign up for our A Life of Heritage weekly newsletter and receive access to my library of free resources for horse owners. It is a password protected page available exclusively to my subscribers. We will be updating and adding to on an ongoing basis. It would benefit you to check back, again and again, to see what’s new. When you sign up, check your junk email folder just in case it ends up in there and add me to your contacts. I’ll let you know when more information is added to the resource page. « Why and How To Use Pallets…for EVERYTHING!